Moving to California at the age of 4, Tarantino developed his love for movies at an early age. One of his earliest memories is of his grandmother taking him to see a John Wayne movie. Tarantino also loved storytelling, but he showed his creativity in unusual ways. Tarantino loathed school, choosing to spend his time watching movies or reading comics rather than studying. The only subject that appealed to him was history. After dropping out of high school, Tarantino worked as an usher at a adult film theater for a time. He also took acting classes. Tarantino eventually landed a job at Video Archives in Manhattan Beach, California. There he worked with Roger Avary who shared his passion for film. The two even worked on some script ideas together. During his time at Video Archives, Tarantino worked on several screenplays, including “True Romance” and “Natural Born Killers.” He also landed a guest spot on the popular sitcom “The Golden Girls,” playing an Elvis impersonator. In 1990, Tarantino left Video Archives to work for Cinetel, a production company. Through one of the producers there, he was able to get his script for “True Romance” in the hands of director Tony Scott. Scott liked Tarantino’s script, and bought the rights to it. Working with producer Lawrence Bender, Tarantino was able to secure funding for his directorial debut “Reservoir Dogs” (1992), for which he had also written the screenplay. Actor Harvey Keitel was impressed when he read the script, saying “I haven’t seen characters like these in years.” He signed on as an actor and a producer for the project. Other cast members included Michael Madsen, Tim Roth, Chris Penn, Steve Buscemi, and Tarantino himself. In 1992, audiences at the Sundance Film Festival were entranced by “Reservoir Dogs,” Tarantino’s ultraviolent crime caper gone wrong. The independent film helped to make Tarantino one of the most talked-about figures in Hollywood. Do you want to hire Quentin Tarantino? Directly request a quote. In 48 hours we can send you the availability of Quentin Tarantino If you would like to book Quentin Tarantino, Entertainment Booking Agency is the right place. 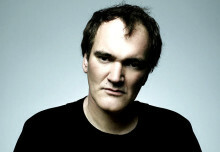 We will offer you the best price and contact the management or we directly contact Quentin Tarantino. For corporate appearances or speaking engagements you can contact our agents and the will help you true the process. Tags: hire Quentin Tarantino, Quentin Tarantino booking, book Quentin Tarantino, Quentin Tarantino appearances, find more information on booking Quentin Tarantino for appearances, Quentin Tarantino speaking engagements, Quentin Tarantino endorsements/spokesperson, Quentin Tarantino appearance fees, Quentin Tarantino booking agency contact info, biography of Quentin Tarantino, Contact an artist booking talent agent find a speakers bureau that can book Quentin Tarantino, speaker booking agency for Quentin Tarantino, Quentin Tarantino booking agency, Quentin Tarantino booking for corporate event. EBA is one of the biggest entertainment booking agencies in the World. We book hundreds of celebrities, artist, athletes and speakers in a year. Important to know is that we are not claiming to be the management of Quentin Tarantino. We are not the official agent for Quentin Tarantino. Companies from around the globe book these artists and speakers true our company be course we have one of the biggest networks and we always have direct contact with the artist or the management. We help you to find the right celebrities for your corporate of private events. Please contact one of our agents to get free advice and we will help to get the world-famous artist on your party.